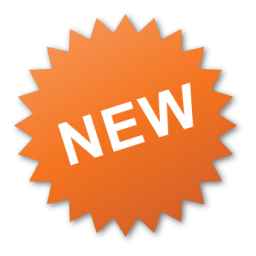 Games Available: Over 250, including: Video slots, Video poker, Blackjack, Roulette, and Classic slots. Vegas Luck Casino is a new online NetEnt casino that is owned and operated by BGO Entertainment Limited. The casino is licensed with the Alderney Gambling Control Commission as well as with the UKGC in the United Kingdom. Vegas Luck is the newest sibling casino to already established older sisters, BGO Casino and PowerSpins. The casino has an Irish theme with the lucky shamrock being their logo. Vegas Luck Casino has a wide selection of games from the best casino software giants, such as: NetEnt, Quickspin, Playtech, WMS, IGT, Eyecon, NextGen, iSoftbet, Barcrest, Ingenuity, Endemol, and Gaming Lab. New players are eligible to claim up to 50 Free Spins on their first deposit. These Free Spins are wager-free and have no max win. 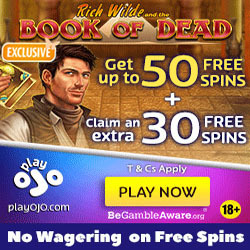 For every £1 deposited, you will receive 1 Free Spin. Play your Free Spins on any of these promotional games: Finn and the Swirly Spin, Twin Spin Deluxe, Starburst, and Lights. Please note that deposits made with Neteller or Skrill are not eligible for the welcome bonus offers. There are no wagering requirement for the free spins winnings. There is a fee of £2.50 for all withdrawals of funds. 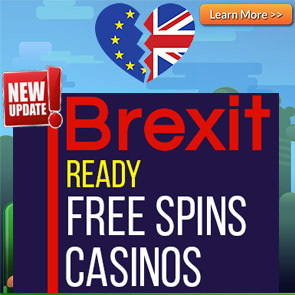 Free Spins have a 3-day expiry after being credited to your account. The deposit options at Vegas Luck Casino are: Visa, Mastercard, PayPal, Maestro, Skrill, and Neteller. USA, US/GB Virgin Islands, US Minor Outlying Territories, North Korea, China, Syria, Yemen, Spain, Italy, Hong Kong, Denmark, Estonia, Bulgaria, Cyprus, Macau, Czech Republic, Guadeloupe, Martinique, Malaysia, Australia, Colombia, Sweden, France and Overseas Regions, Afghanistan, Libya, Sierra Leone, Iran, Iraq, Nigeria, Zimbabwe, Mali, Philippines, Singapore, Hungary, United Arab Emirates, Romania, Portugal, Netherlands, Russia, Poland, Ukraine, Sudan, Belgium, Greece, Israel, Germany, Turkey, and Switzerland. You can deposit using the following currencies: USD, GBP, and EUR.